Hong Kong is a blessed place. It is centrally located with good connectivity, well equipped with convenient international and regional links and served by an efficient transport system. Situated in the heart of Asia, we can reach half the world’s population from Hong Kong within five hours of flying time. Each day, some 1,000 flights connect Hong Kong with hundreds of destinations around the world. In February 2017, alone, the total flights amounted to 31,235. Another unique advantage of Hong Kong is its strategic gateway location to the Pearl River Delta and the Mainland, a rapidly growing economy. These enviable characteristics, coupled with a good infrastructure network and an abundance of world-class talent providing the necessary high-end professional service support have enabled Hong Kong to build up its global reputation as a leading financial centre and business hub. The Index of Economic Freedom, an annual guide published by The Heritage Foundation, measures economic freedom based on various factors broadly categorised into Rule of Law, regulatory efficiency, open markets and government size. Hong Kong came first in the 2017 Index. Hong Kong has been found to have demonstrated a high degree of economic resilience, being one of the world’s most competitive financial and business hubs. 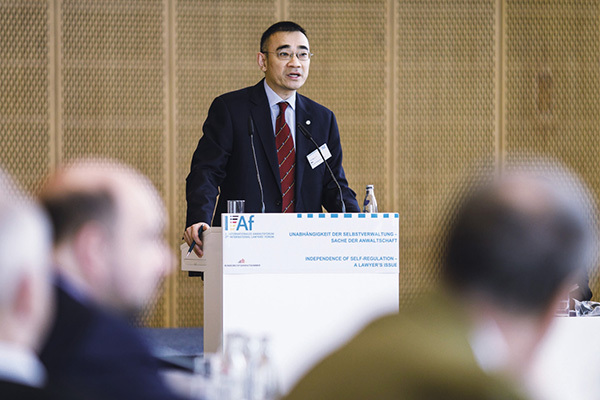 The high quality legal framework providing strong support for the Rule of Law and effective protection of property rights has been identified as the pillar of strength for Hong Kong. As part of the legal profession, we are proud that our respect for the Rule of Law has been widely recognised. 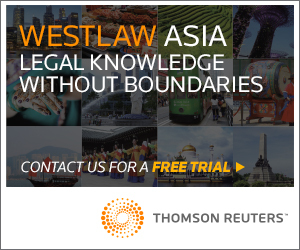 Hong Kong is the only common law jurisdiction within China administering a legal system that is familiar to the international business community. The upholding of the Rule of Law in Hong Kong ensures a fair, just and transparent business environment for international investors to engage in business transactions in or through Hong Kong. 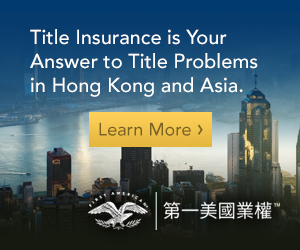 There are about 10,500 qualified Hong Kong solicitors, out of whom about 66 percent are in private practice. Together with 1,300 registered foreign lawyers from 32 different jurisdictions around the world, our solicitors capably provide a diversified range of legal services to fulfill the needs of domestic and international clients. Hong Kong solicitors’ work involve a wide range of legal services relating to capital markets, banking and finance, cross-border mergers and acquisitions, real estate, construction, dispute resolution including court advocacy, arbitration and mediation and many others. We have the necessary legal expertise and experience to meet the demands from sophisticated service users including multilateral financial agencies, development banks, public sector investors, asset managers, commercial and investment banks, infrastructure developers and operators. In 2016, Hong Kong came first in funds raised through initial public offerings (“IPOs”). The Hong Kong Stock Exchange raised US$25.1 billion in 120 IPOs, compared to US$14.7 billion raised in the New York Stock Exchange. As of the end of 2015, the overall value of the combined fund management business amounted to US$2.2 trillion, 7.3 times of the GDP in 2015. Further, Hong Kong is the world’s leading offshore Renminbi business hub with a variety of Renminbi financial products and services on offer. Islamic finance is also growing in Hong Kong with a successful track record of two issuances of sukuk, Islamic bonds structured to bring investment returns that are compliant with interest prohibitions in Islamic laws. All these achievements would not have been possible without the high quality professional legal services available to support the complex work involved in the transactions including, for example, work on legal due diligence, contract documentation and regulatory compliance. 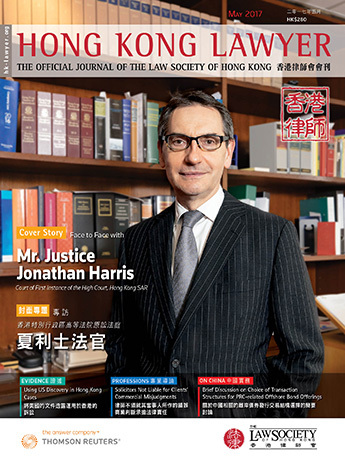 Hong Kong has inherited the English legal system and maintains a split legal profession. Legal practitioners comprise solicitors as well as barristers, with the latter focusing on advocacy. In the past, one important distinction between the two branches of the profession was that barristers had rights of audience in the higher courts (ie, the Court of First Instance and above), while solicitors did not have such rights. 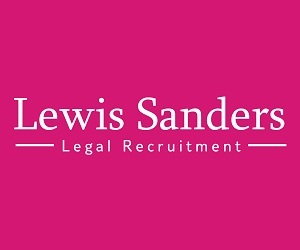 Nevertheless, since 2012, with the amendments to the law and the introduction of an assessment regime, eligible solicitors can gain rights of audience through either the exemption or the assessment route and appear as Solicitor Advocates before the High Court and the Court of Final Appeal. There are now 49 Solicitor Advocates. In addition to the existing wide range of legal services, eligible solicitors are able to take up the advocacy work that was previously reserved to barristers. This development effectively widens the choice of advocates for the benefit of legal service users. In short, Hong Kong has all the right qualities. It is The Place To Be for business, fund raising, asset management and dispute resolution. One notable competitive edge is the strong legal professional service team available in Hong Kong. The Law Society has been promoting the capabilities of our members to the world and the Law Society’s Belt and Road Conference on 12 May 2017, at which many overseas participants are joining, will be another occasion for this task.